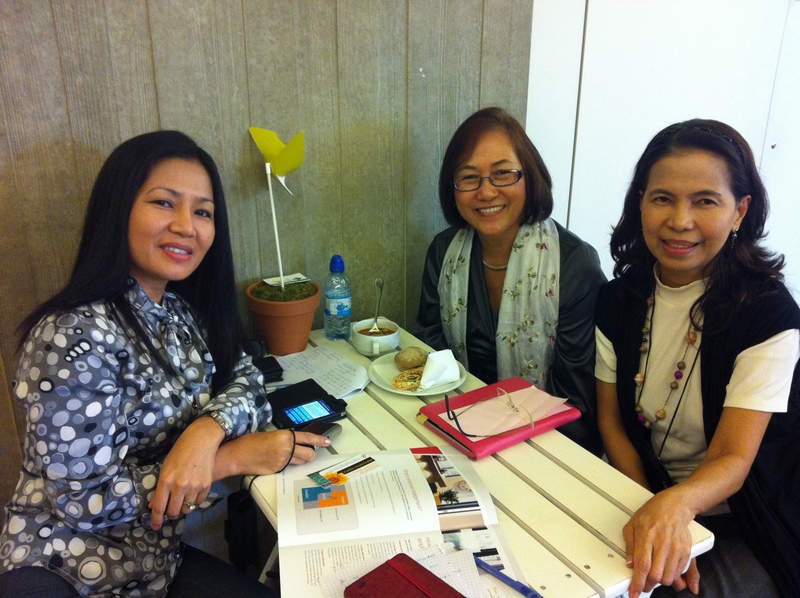 Sitting at a table, taking a little break, are two participants from the Phillipines, Jean Lapa and Grace Tyler. 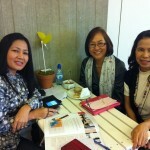 They are students at SAIDI School of Organization Development. What brings them here? “Well, very simple”, Jean says, “our Dean, Rosa Fuentes, presents a paper here, and we came to support her!’ “And to learn for ourselves!”, Grace adds with a big smile. Both agree: “You can only support something that you believe in yourself”. And it is clear that they are very enthusiastic about Appreciative Inquiry. They both have examples of things they have learnt here that they can use in their work. But also more personal stuff. Jean, who is head of HR in a retail organisation and works on a PhD on empowerment, shares how much she was touched by Ken Gergen and Danielle Zandees dialogue about making meaning of words. “I loved that. It is very simple, but profound at the same time. You give meaning to the words of others. And the way that you frame them, and they way you respond, has a big impact on the rest of the interaction. Does it spiral upward? Or do you bring each other down? That realisation is something that I can use everyday, in all kinds of interactions. In business, but also with my kids. How do I bring out the best in them, and in myself? This is the second in a small series of participant’s portraits. Just to give a glimpse of the great diversity of people who attended and their range of stories. Other portraits are of Rafael, Shelagh and Daniel.